Definition	- The person who signs the booking form (Lead booking name) shall be known as the hirer. 1. 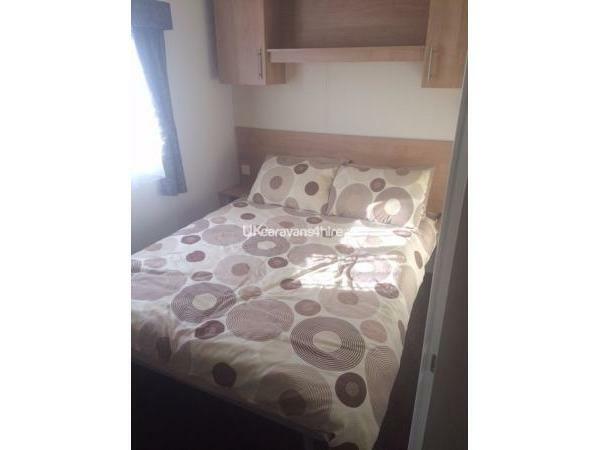 Bookings will only be accepted from hirers who are over 21 years of age and above on start of holiday. 7. 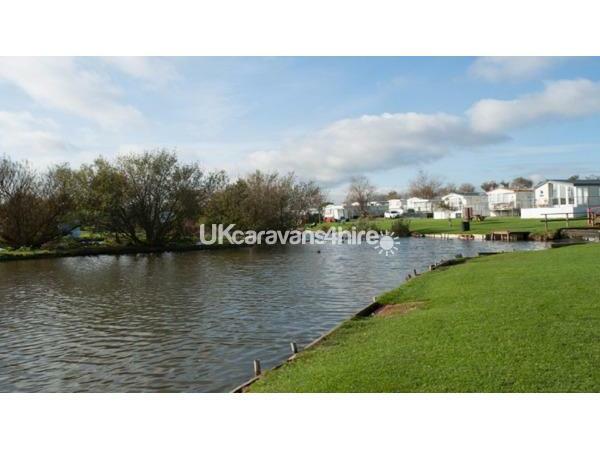 The caravan owners reserve the right to refuse any booking without any obligation to give a reason. 8. Sand-Le-Mere and ourselves will not be responsible for any personal loss or injury, however caused and sustained to any person or vehicle (including any persons under 18 years of age).Please ensure you purchase adequate travel insurance before your holiday. 9. Smoking is not permitted in the caravan or outside near open windows and doors. 12. In case of any maintenance problem(s) please contact reception. DIY repairs must not be attempted. 14. 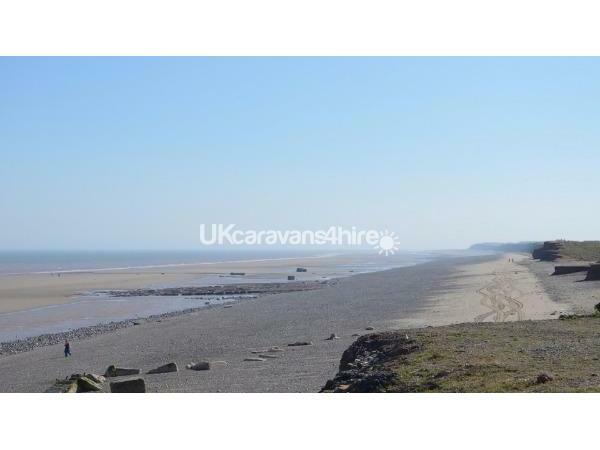 The caravan owners reserve the right to withhold some or the entire bond and or to bill the hirer for additional cost of : (1) replacing or repairing damage, (2) all breakages, (3) charge for cleaning the caravan, (4) cost of removing stains or replacing as new. All breakages, damages and stains must be paid for. The hirer must inform the caravan owners within 24 hours of arrival; all defects, inventory shortages and / or breakages etc. Failure will result in you being responsible and your bond being withheld. 1. A deposit of £50 is to be paid within 7 days of making a provisional booking or it will be cancelled. 2. Cheques to be made payable to Mrs JD Jenkinson. 3. The balance including security deposit is to be paid no later than 4 weeks before the start of the holiday. 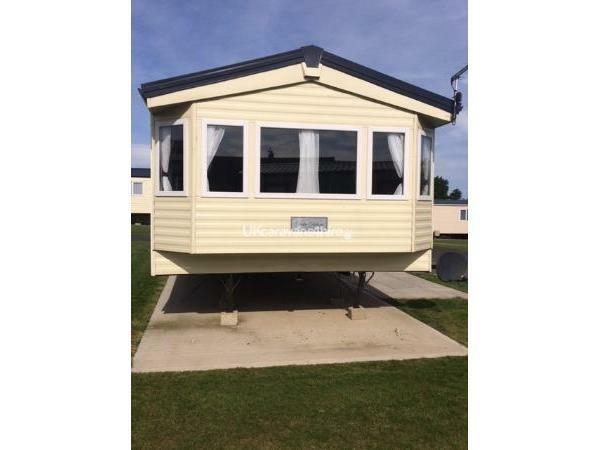 Welcome to our newly purchased Delta Sienna 2015 Luxury 3 Bedroom Caravan for hire on the 5* Award winning Sand-Le-Mere Holiday Village just outside of Withernsea , East Yorkshire. The lounge and kitchen area has an open plan aspect giving you and your family plenty space at all times. The lounge area has a remote control electric fire, TV with sky freesat and DVD player.Two large sofa's one of which is a double sofa bed. There is also a dining area with table and seating plenty big enough to seat 6 people. 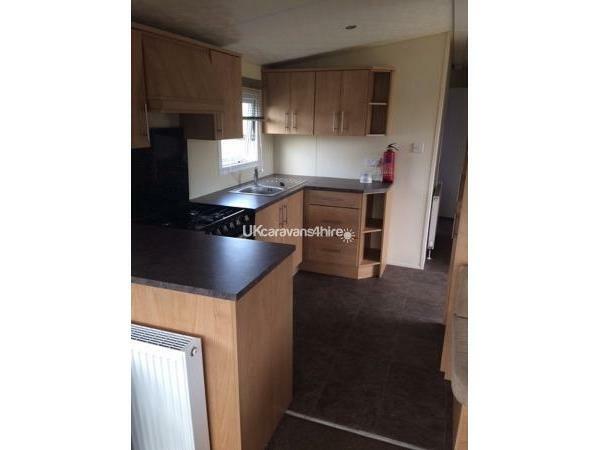 The kitchen comes well equipped with a microwave, toaster, pots and pans, cutlery, glasses, cups, plates and dishes, full size fridge freezer and full size gas oven and hob. There are 3 bedrooms, 1 x double, 2 x twins. All beds are made up for your arrival. Towels are not provided, please remember to bring your own. There is a shower room and separate toilet both fitted with towel radiators. 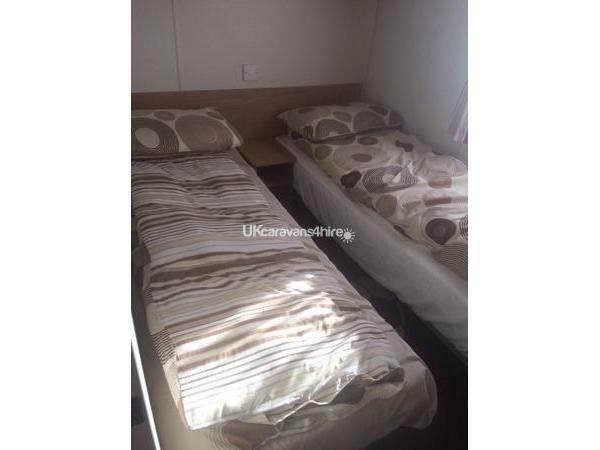 For your additional comfort the caravan is double glazed and has gas central heating throughout. We also now have a front and side veranda fitted with rattan patio furniture. 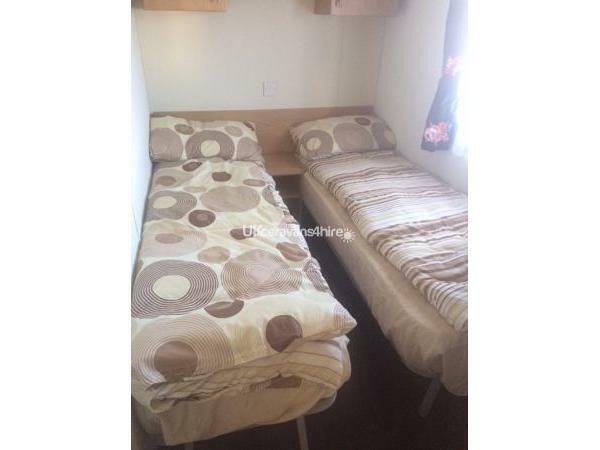 There is an hard standing parking area at the side of the caravan big enough for two cars. By prior arrangement small dogs are permitted (maximum 2 per stay). Please contact us if you would like to bring pets. Leisure passes are not included in the price of your holiday, these can be purchased from reception once you have collected your keys. 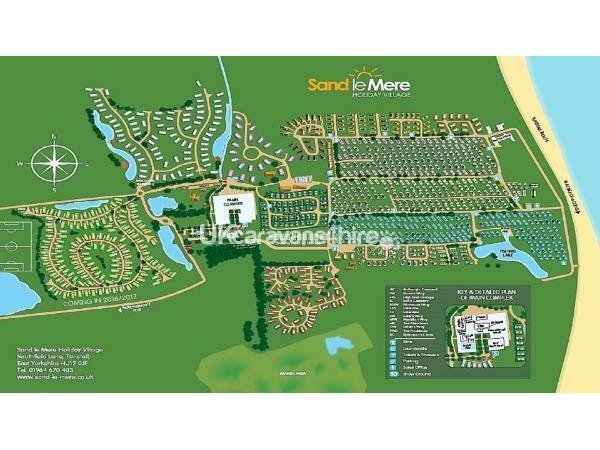 Sand Le Mere Holiday Village is based in Tunstall not far Withernsea. The park which is independently run enjoyed a 4 million investment on park facilities in 2012. 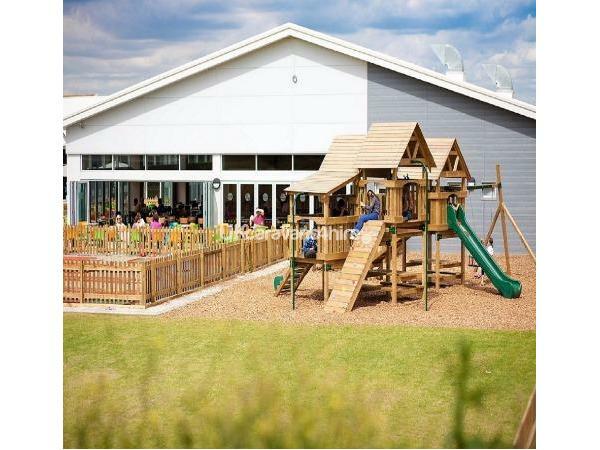 They have also recently been awarded 5* Visit England 2016 Award, David Bellamy Conservation Gold Award 2016 and also Premier Parks 2017 Certificate of Grading. 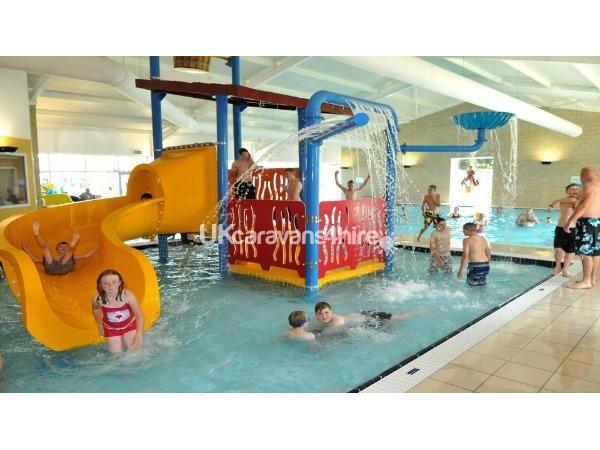 On site you will find a leisure complex with family entertainment center, children's soft play area, indoor pool, splash pool for smaller children, water slide and gym*, steam room and sauna, bar and restaurant, take away and cafe, fresh water fishing*, beach fishing, direct beach access, launderette*, crazy golf*, and wi-fi in the main complex plus evening family entertainment. There is also a small site store to supply you with any holiday basics you may require. We had weekend break in March 2018. 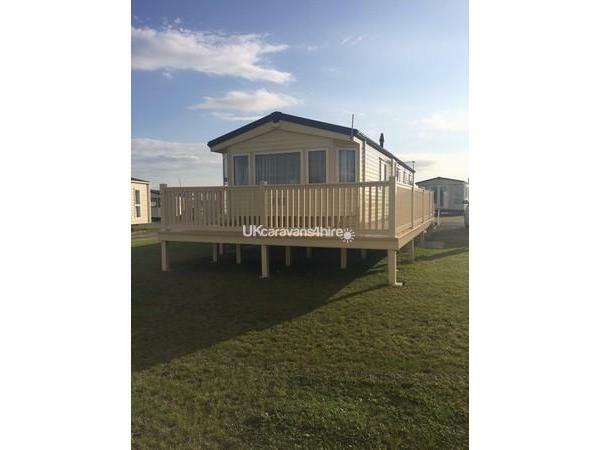 The caravan was superb and excellent value for money. We found the cleanliness of the caravan was excellent. The kitchen utensils were first class. The seating was comfortable as were the beds, with very good duvet and bedding. Very good quality TV/DVD. The central heating was great and warmed the caravan very quickly. Although the weather didn’t let us use the decking area, the furniture was of good quality. The shower was very good, probably the best we have experienced in a caravan. Communication with Julie was excellent, any queries were answered very quickly. Overall our experience was great and we would definitely book again! Julia was very helpful when I had a problem with the key. My only complaint or advice to those using this great caravan is check, double check and triple check,you have packet everything. ,I unfortunately left, 3 electric tooth brushes, and a bag off cloths. But they couldn't be found. 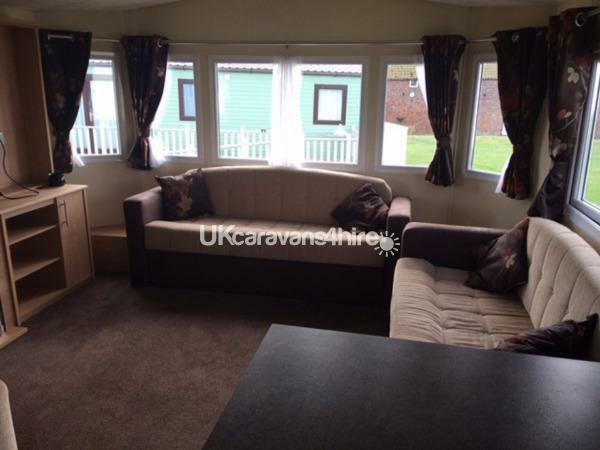 Once again this is a very nice caravan, and wouldn't let lies stop me recommending Julie's caravan.